Small business owners are usually stretched pretty thin in terms of time and budget. Most businesses want to thrive on Facebook but can't devote the kind of time they'd really want to make an impact. Try spending about 10 minutes a day on your Facebook page for regular upkeep. It's always a good rule of thumb to expect the initial setup of your page to be 80 percent of your Facebook time commitment and then the other 20 percent for consistent updates and maintenance 10 minutes a day. Why devote 10 minutes a day to Facebook? There are many reasons why, but most importantly Facebook can help strengthen your relationships with your customers. The smaller your business, the more important these connections can be to help keep your company thriving. Highlighting the human factor of your company is what creates strong relationships between customers and your business. Facebook helps facilitate these emotional connections on a larger scale before or after an in store visit, phone call or other customer interaction. 1. Use Photos to Share Your Products and Services: Photos are the most effective means of driving engagement on Facebook, according to a study by Buddy Media, because people are innately visual and Facebook caters to this fact. The more quality interactions customers have with your photos on Facebook, the more word of mouth marketing works to spread the news of your business to your customers and their Facebook friends. People are innately intrigued by what they can't typical see, so give them a behind the scenes look at what's happening at your business. Share photos of your processes, like making a coffee if you own a cafe or repairing a sweater if you're a seamstress. Also, showcase your employees (preferably smiling) to further bring attention to the human aspect of your business. Often businesses are discouraged because they don't have an expensive SLR camera, but all it takes today for a stunning photo is shooting with the camera on your smartphone. Snap away and begin posting to see what is and isn't resonating with your audience. 2. 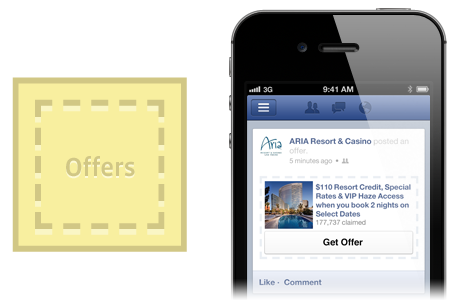 Facebook Offers: Advertise your online or instore sales using Facebook's new ad unit called Offers. This ad allows a business owner to highlight their existing promotions within the Facebook's ecosystem to a larger audience than they would be able to regularly reach when posting. This is a paid ad, but the first ad is free for small businesses. After your first ad has run, the price is dependant on how many people you wish your offer to reach. These ads are relatively inexpensive and can cost as little as $10 to reach 5,000 to 9,000 relevant people. Think of this feature as pay to play reach for your business. ●	Give high quality and exclusive offers. ●	Re-share offer post every three days; do not post a new one. ●	Pin the offers post to top of your page. ●	Offer text should be short with a clear call to action; leave out marketing jargon. ●	Images should be colorful and simple. 3. Install Free Apps on Your Page: Every Facebook page has a banner displaying four tabs at the top right, below your cover photo. One of these tabs, which can't be changed, is the photos tab that highlights all the photos shared on your Facebook page up to this point. What you can change and customize for your business are the other three tabs to the right of the photo tab which allow you to highlight applications of your choice, free or paid. It's not required, but it's certainly recommended that you add apps to these tabs to provide a more engagingexperience. Whether you wish to showcase your upcoming events, Instagram photos, tweets, email sign up form or whatever else, there's plenty of free applications like these in this sentence to choose from. Start by searching the Facebook App Center for apps you'd like to addto your page and if you come up short, use a search engine to find a Facebook app (since Facebook search can be unreliable at times). For example, search: facebook email app in Google, Bing or Yahoo. 4. Schedule Posts from Facebook: Your time is valuable; maybe you don't have 10 minutes a day to spare for Facebook everyday. 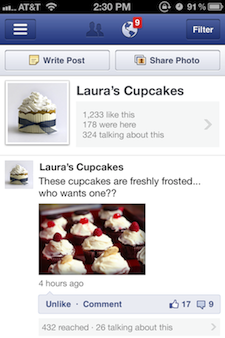 Facebook allows page owners to schedule posts to be published at a later date. Set aside time to schedule posts at the beginning or end of the week to make sure you're giving your business proper coverage on Facebook, while saving yourself time. This feature allows admins to schedule links, photos, status update and videos ahead of time. At this time, you can't schedule photo albums, events, questions, offers or milestones. Begin by choosing what type of content you wish to add to your Page, write text for it and the choose the small clock icon in the lower-left of the sharing tool. Choose the future year, month, day, hour and minute you'd like your post to go live and then click schedule to finalize your posting. You can delete scheduled posts from your activity log but you can't edit them, so make sure you're satisfied with your scheduled posts before finalizing. This is a perfect tool to get ahead on your Facebook posts. Be sure to return to your page each day, to respond to any feedback on your Facebook page. 5. Interact with Customers Right from Your Smartphone: When a person posts on your wall or on a post shared on your Page, its extremely important to respond with insightful information in a timely manner when appropriate. Answering questions, responding to compliments, dealing with complaints and removing spam is one of the most important ways to give your audience the best experience possible on Facebook. Your community is made up of your current and potential customers, supporting them in any way you can will help strengthen their relationship with your business. Satisfaction helps breed loyalty. If your customers feel both loyal to your business, its more likely you'll have a strong, long-term connection with them. 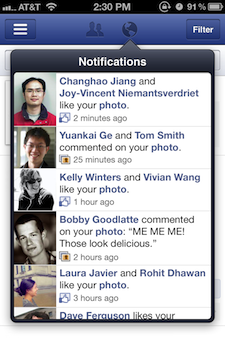 The best way to manage feedback on Facebook page with limited time is by using the Page Manager app. Download this app on your iPhone to answer private messages, wall posts, comments on your posts or to deal with any other community management tasks. The app allows you to update your Page and check Page insights as well but the best way to utilize this app is for viewing your notifications in real time to ensure you're handling your customer's needs as they arise. Are you using these Facebook tools and techniques for your small business? 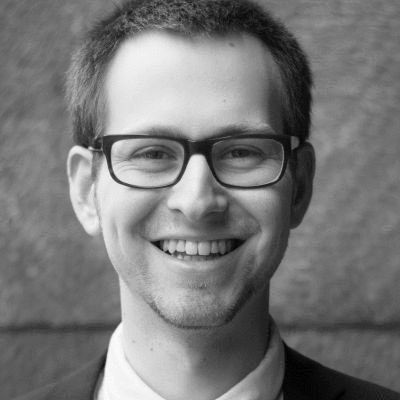 What Facebook strategies would you recommend? Share your thoughts in the comments below.